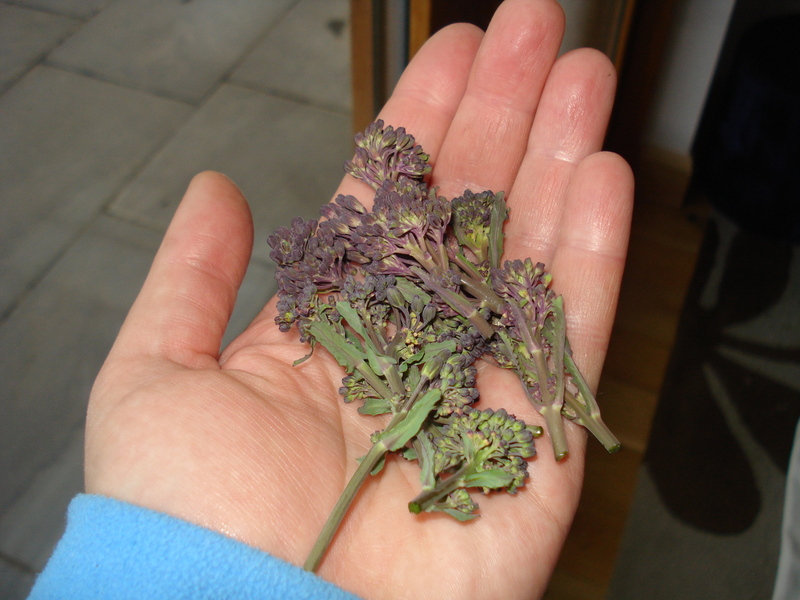 Purple Sprouting Broccoli…was it worth it? I have had limited success these last few years growing broccoli. I have lovely tall strong plants but the florets flower almost immediately meaning there is little left to eat. Having read up on the subject I think my mistake has been to leave the florets thinking they will grow bigger and look like the ones on sale in the supermarket. However, I have discovered that the spears should be cut as soon as they form and this encourages the side shoots. The more you cut, the larger the florets…..at least that is what I think is supposed to happen. I am still not sure. 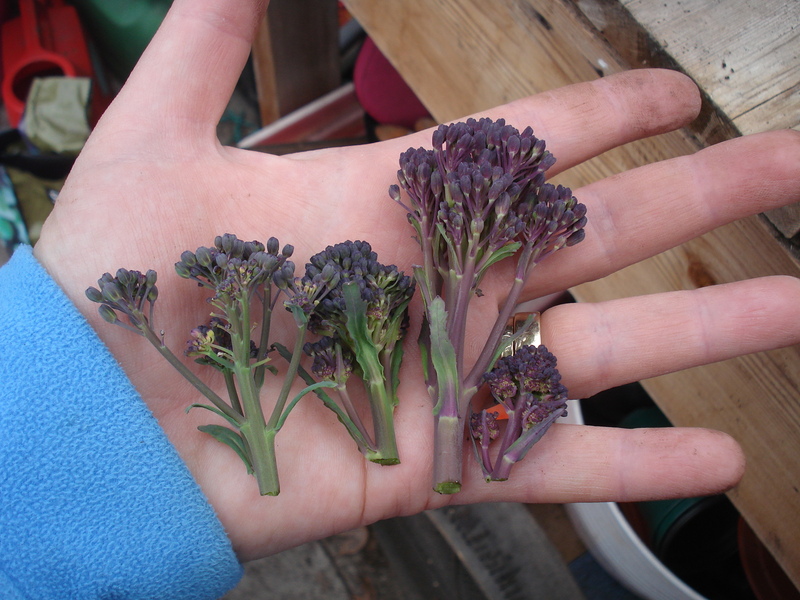 Last year I decided to try growing purple sprouting broccoli. The seeds were sown on 8 June 2012 (basically 11 months ago). 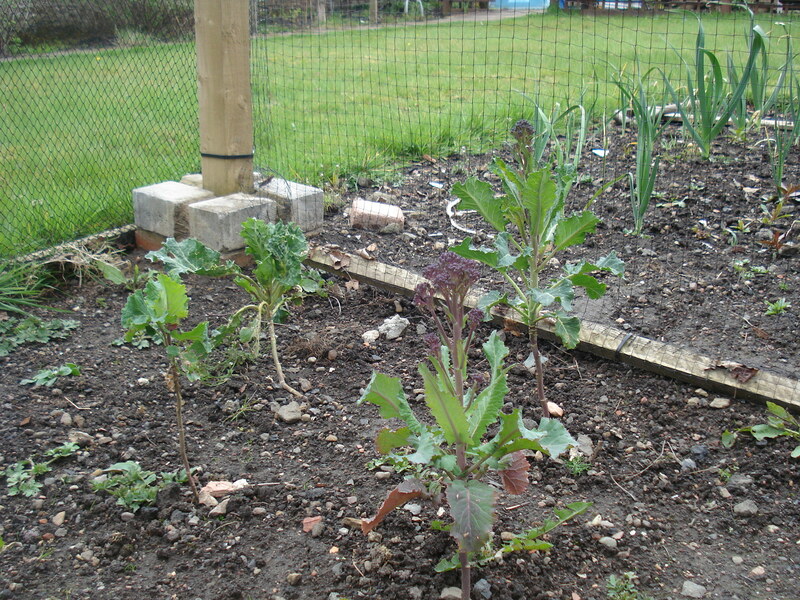 I planted them at the same time as the rest of the brassicas but was aware that it would be Spring before they did much. Most of the plants did produce small purple heads and I waited and waited for something more to happen. In desperation at the weekend I decided to cut the heads of to see if it encouraged the side shoots to sprout and it has had limited success. I think this together with a combination of warm sunny weather has caused two plants to grow and the rest to produce side shoots. However, they are still only about 9 inches high and are not producing nearly enough to justify taking up one third of my veggie plot after having spent the best part of year doing so. I have no idea what I am doing wrong but I’m really frustrated as I love broccoli and really want to grow it successfully. My second crop of side shoots. In their defence, none of my brassicas did particularly well last year, probably due to the wet weather. The cabbages never grew more than tennis ball size, the cauliflowers went to seed immediately and there were barely enough brussels sprouts for xmas dinner! So being the eternal optimist I will give them the benefit of the doubt and try one more time. You never know, this time next year I may be blogging about a broccoli glut and posting recipes for broccoli brownies! Mr Mac is itching to get this plot rotivated and I have to admit I really need to get my carrots and parsnips in the ground soon. 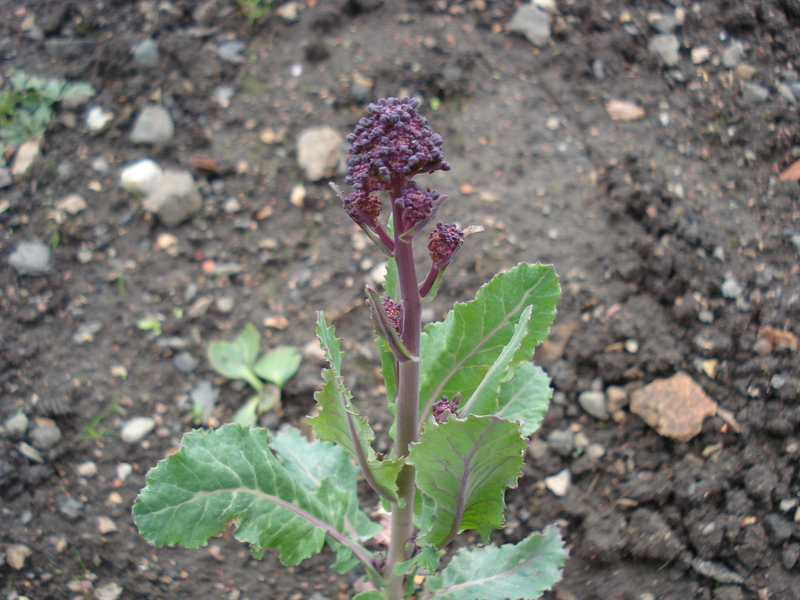 So the purple sprouting broccoli have a stay of execution until the weekend and then its off to the compost and time to start again. If anyone has any hints or tips I would love to hear from you!